I don't live in San Francisco, but I'm awfully close. Still, I don't make it over there often. There's a lot to do in the East Bay, and after spending so many years in a major metropolis, I don't often feel the urge to hang out in another one. Yet it seems a shame to ignore what San Francisco has to offer, so the other day, we grabbed the kids, packed a picnic, and headed out to the Presidio. I thought we'd scope out the view of the Golden Gate Bridge, enjoy some redwoods, and maybe toss a ball on the wide grassy fields. When we got there though, we saw signs for something that made my husband draw in his breath: an exhibit on Mary Blair. I had no idea who she was, but it's hard to ignore that kind of reaction. So to the Walt Disney Family Museum we went, and I'm so glad we did. 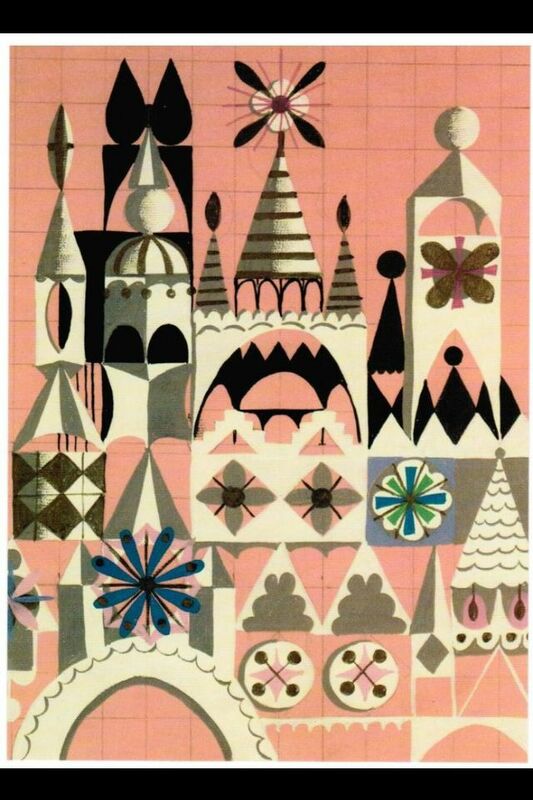 Mary Blair (1911-1978) was an extraordinary artist whose career with Disney spanned nearly three decades. 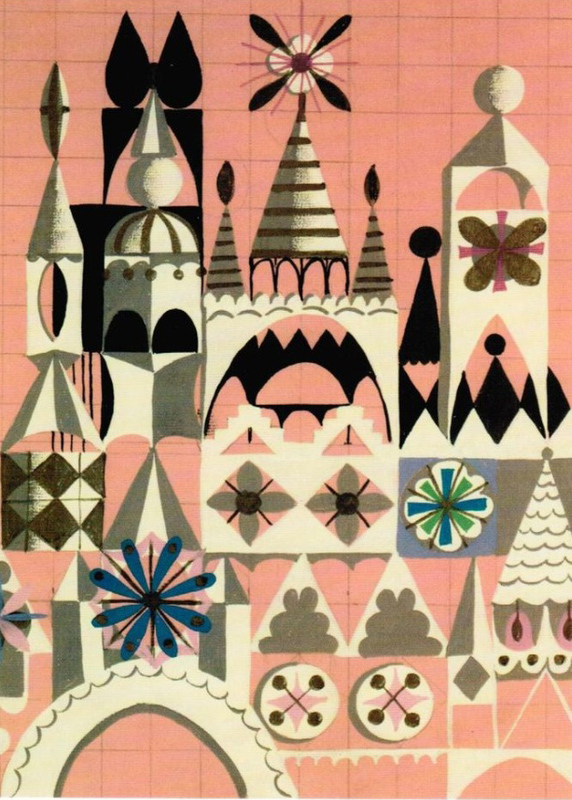 She was an art director and designer for some of his most famous films, including Cinderella, Peter Pan, and Alice in Wonderland, as well as the theme park ride "It's A Small World". Her illustration work also appeared in children's books, theatre sets, window displays, advertisements and magazines. She was a true pioneer, both for female illustrators, and for animation in general. She's credited with bringing modern art to the world of Disney, and animated films have never looked the same since. As I walked through the exhibit, I was struck by her masterful use of color. Any one of her pieces would serve as a great palette for a beautiful room. Check out these pairings below. Of course, it's reductionist to think of Blair's art solely in terms of palette. It's extraordinary in its economy of shape and line, and displays a total mastery of light and shadow. Any of the paintings would be great as framed art pieces, too. But I like to remind myself that rooms are not the sole inspiration for the design of other rooms. A great painting, a pretty meadow, a favorite shirt--anything that speaks to you visually--works too. So keep your eyes open! You never know when inspiration will strike.